What makes the Metropolitan Museum different from MoMA, the Guggenheim, and just about every other museum in New York? Well, it’s owned by the city, which means that technically, it’s free to enter. Oh sure, there’s a “suggested donation” of $25, but that’s all it is—suggested—and you don’t have to pay it, no matter how much people manning the ticket desk try to make you think that you do. All that, however, may soon change, though not for New Yorkers: The Met is floating a trial balloon to see if it can get the city to allow it to charge admission to out-of-towners. There’s no question that the museum needs the money. It’s running a $15 million budget deficit that has forced a layoff of 90 employees, the postponement of a new $600 million wing for modern and contemporary art and the curtailment of the exhibition schedule from 60 to 40 shows a year. It also hasn’t helped that, for example, the opening of The Met Breuer in the old Madison Avenue home of The Whitney incurred cost overruns as did a much ballyhooed rebranding campaign that replaced The Museum’s formerly distinctive logo with a blander design virtually no one likes. Currently, the city funds The Met to the tune of $26 million, the largest amount given to any cultural institution in New York, but still a mere fraction of the museum’s $332 million annual operating costs. 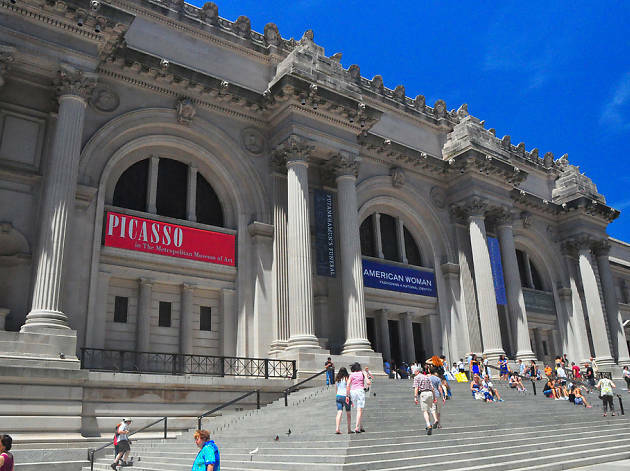 The current “suggested donation” structure brought in another $39 million last year, and since 63 percent of The Met’s visitors are tourists, it’s a good bet that requiring them to pony up admission would add significantly to The Met’s coffers. According to The New York Times, the Mayor is onboard with the idea, though it would have to get past the City Council and the Department of Cultural Affairs. Then of course, there’s the question of how your supposed to prove you’re a New Yorker under the new arrangement: Show them your Con Ed bill?